Some say the first 6 weeks are the hardest, just get through those. Others say the first 12 weeks and some say the first 6 months. Whatever period of time you measure, those first few days, weeks and months are one of the steepest learning curves my husband and I have ever been through. We had to learn how to look after another human being who was, other than having an innate ability to feed, completely helpless. 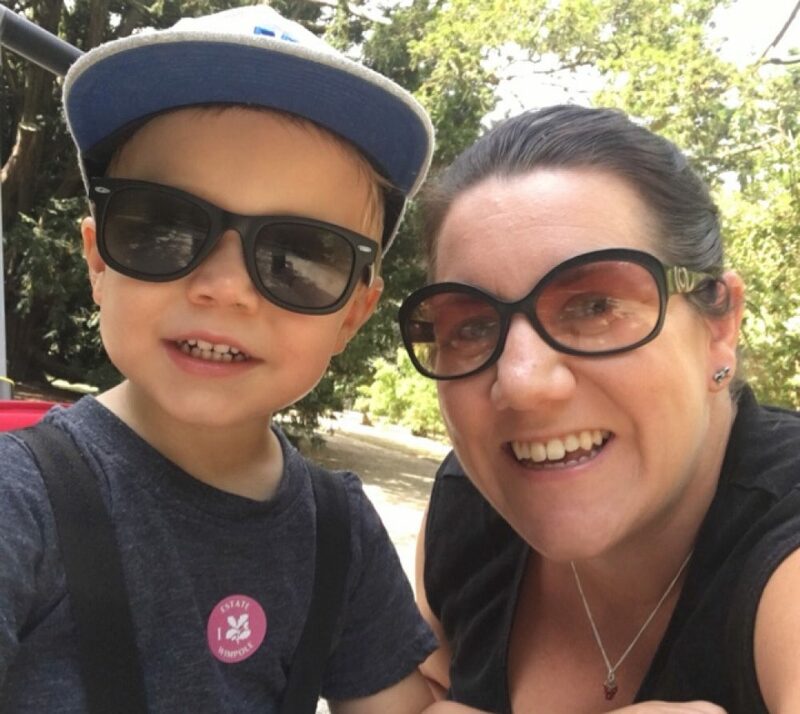 Neither my husband nor I had any experience with babies and children until our son arrived – we hadn’t even changed a nappy before our first night in hospital! And although there are books (so many books!) and classes and midwives and health visitors, I quickly came to realise there was no one answer to any of the questions I had. It seemed that most people had a different opinion on what to do for the best and my husband and I just had to figure out which one to rely on, and hope we made the right choice! The lessons are constant and in those first few months there are new things to learn every single day. Every time I felt I had figured out one part of parenting, a new challenge arose. I mastered breastfeeding and changing nappies pretty early on, but then there was bathing, sleeping (at night and napping – 2 completely different skills it would seem! ), leaving the house and arriving places on time (still learning..), packing a changing bag and keeping it “stocked”, choosing the right toys and right activities to ensure my son is developing well, changing nappies whilst my son wriggled around the bed (a different skill to changing newborn nappies) and then just when I thought I was getting the hang of things, there was weaning!! At 9 months we kind of have a routine going on, Isaac is sleeping well (which I am genuinely grateful for every single day) and he eats 3 meals a day. Before going back to work, we would play, see friends, go for walks, eat together and my one aim of the day was to ensure that my son was well fed, happy and learning lots and lots of new things. But now my maternity leave has come to an abrupt end (I really don’t think there is a right time to give it all up and go back to work) and I am no longer just a mummy. To Isaac, that is all I am, but now I have to readjust and learn how to be a solicitor again. Just when I have started to master the skills of looking after a baby, I now need to root around in the back of my head somewhere and find my lawyer skills too. And then I need to learn to balance the two, carefully, ensuring I am the best mummy I can be but that I am also the lawyer that my employer and my clients expect me to be. On top of the practical stuff (like remembering the law, packing the nursery bag, looking presentable before leaving the house) I need to learn to handle the emotional side of it too. I have to learn to cope with having to drop my son off at nursery with people who are, in essence, strangers to both him and me. I have to learn to live with the guilt of handing my son over whilst he’s desperately trying to hold on to me and walking out of the room whilst he’s still crying. I need to learn how to balance work life with home life, something so many of us have to do (whether we have children or not) and so many of us seem to get wrong! And as anyone who knows me will tell you, I am a little bit of a perfectionist so I want to get it right, right from the start! And as my husband tells me (almost daily) that’s impossible, we are still learning. So as I start this new phase of parenthood I need to continue to learn; learn how to be a mummy, but not just a mummy. I’m looking forward to going back to work. I have to keep telling myself that that is ok. It doesn’t make me a bad mum, it doesn’t mean I haven’t absolutely loved (almost) every minute of my maternity leave and it doesn’t mean I won’t be desperately looking forward to the next long weekend or holiday as much as the next person. I just have to keep telling myself, it is ok to want to go back to work. It does mean, it would seem, that everybody has an opinion on my choice to go back to work and they are not afraid to tell me! Whether the person I am talking to is a parent or not, most people I speak to seem to think I am deluded, that I don’t really know what I am talking about, and everybody tells me I will quickly change my mind come the 3rd January (the dreaded date of my return!) These opinions are so common and so forceful that they have led me to change my response to the (now almost daily) question and I find myself qualifying my response and saying “I think I am” or “I’m not really sure how I feel.” But, that’s not true. I do know how I feel. I went to university for 4 years, trained for a 2 further years and have since spent another 6 years building up my career. I enjoy my job, I’m good at what I do and I want to continue to do it. I love my son, more than I honestly thought was possible, but I also whole-heartedly believe I am doing the right thing by going back to work. And I know it will be hard and I’m sure nothing will really prepare me for that first week back, but I have a fantastic employer that has agreed to trial my suggested flexible working hours and an incredible husband that knows my son’s routine as well as I do and so I am in a very fortunate starting position for January! And as I start to count off the last few fun things I get to do as a mummy whilst still on maternity leave (today was my last trip to “baby land” courtesy of Baby Beeps) I have at the back of my mind the thought of a hot coffee and a Pret sandwich I can eat in peace..without sharing!